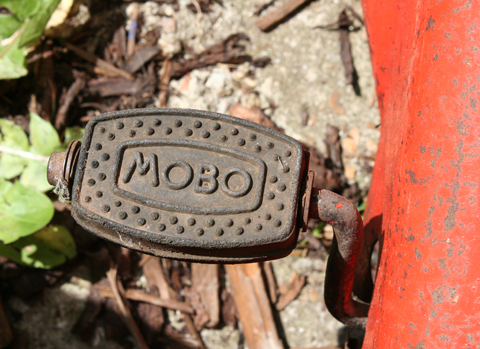 The company behind Mobo was founded by David Sebel in 1921. 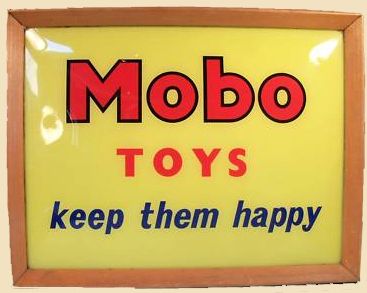 His son Harry created the Mobo brand of toys in 1947. 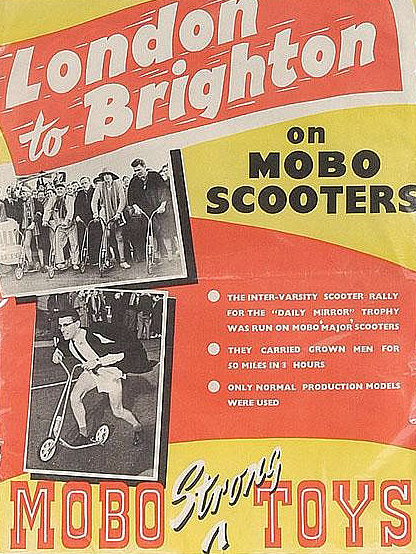 For those of a certain generation, a Mobo scooter would have been their first ride as infants. 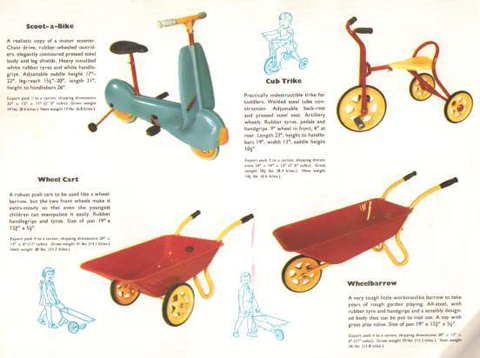 It was designed by the in-house designer, Ron Gray, whose brief, as with all new products, was to use as much that was already made by the factory to save on costs. 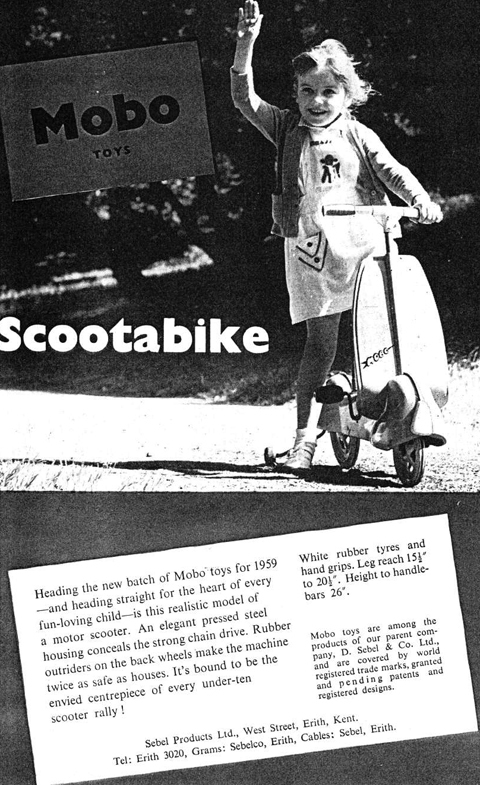 Hence the Scooter under the casing and a bicycle seat. 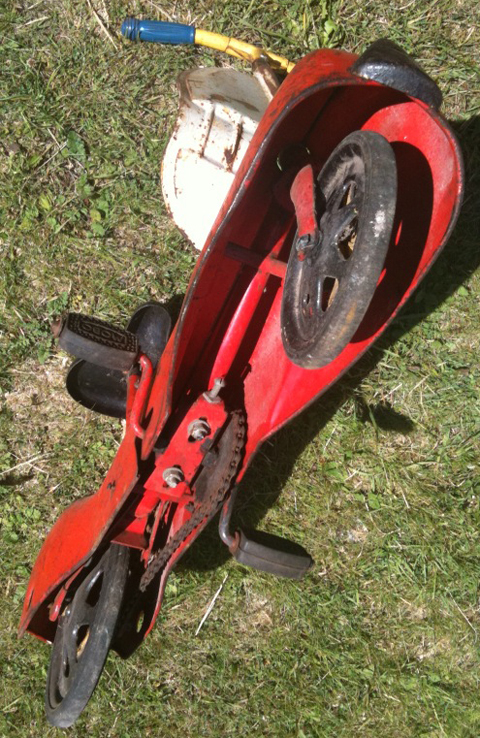 It first came out in red and white, other colours are all red, and blue with yellow wheels. It was sold in February 1959 for a trade price of £2 14s 5d + 15s 11d Purchase tax. The retail price inc P.T. was £4 17s 6d. 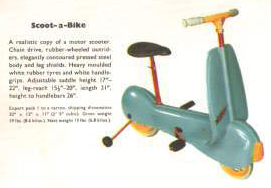 By 1965, it was £5 5s 9d retail. 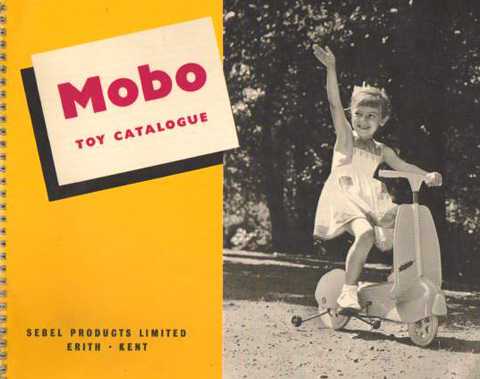 It does not appear in the 1966 catalogue, so presumably production ended in 1965. 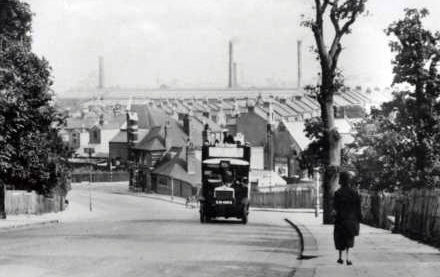 Erith has an interesting industrial history. In 1515, Henry VIII had his famous warship Henri Grace à Dieu fitted out in Erith’s Royal Dockyard (at the eastern end of West St). In the Victorian period, entrepreneurs such as William Anderson and Charles Beadle made the town one of the most important industrial areas in the south-east of England. During WW1, it was an important area for gun and ammunition manufacture due to the presence of the Vickers works at 177 West St (later to become the Mobo factory). In 1897, Vickers acquired the Maxim Nordenfelt company, which had factories in Kent. The Crayford works made Maxim guns, the North Kent Ironworks (Greenwich) made shells, and the Erith plant manufactured machine-guns. In the picture above you can see the Nordenfeldt Tavern on the corner at the bottom of the hill, established to serve employees of the adjacent Maxim Nordenfeldt Gun and Ammunition Co (which became Vickers). 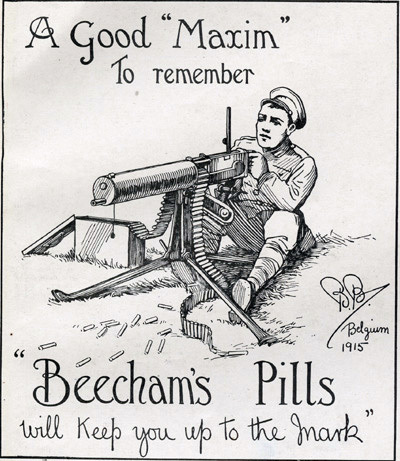 The pub was nicknamed the Pom Pom after the 1899 Maxim automatic quick firing gun. Vickers produced its first monoplane at Erith in 1911. On 1st January 2010, one of these first Vickers aircraft – a relic of Sir Douglas Mawson’s Antarctic 1911-14 expedition – was found (well-preserved) at Cape Denison in Antarctica. All the Vickers factories were expanded during WW1. 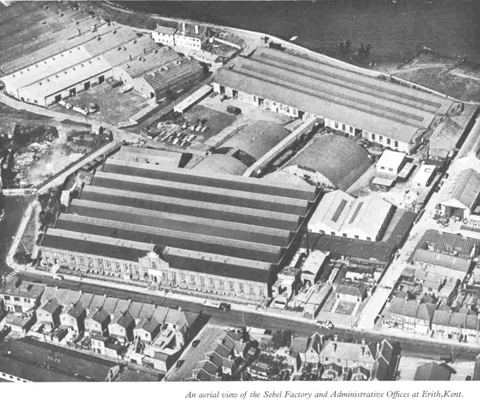 The company employed 300 at Erith in 1914, but by the end of WW1 the workforce had increased to 14,500. Another Erith company, Callenders Cables, supplied the world with high-class cable and also laid an underwater pipeline across the English Channel. Fuel supplied through this pipeline was used by Allied vehicles during the D-Day landings on 6 June 1944. With its proximity to the Royal Arsenal and the River, as well as its industrial heritage, Erith suffered heavily from bombing during WW2.